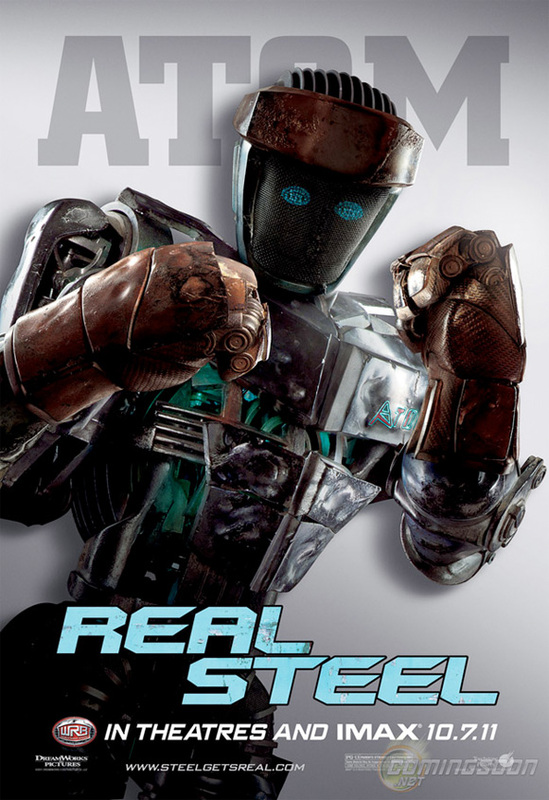 Between the teaser trailer, a more impressive full-length theatrical trailer, cool behind-the-scenes featurette, and my visit to the set, the robot boxing flick Real Steel has become one of my more anticipated films of the fall, even if it's not part of the standard push of awards contenders that comes around this season. 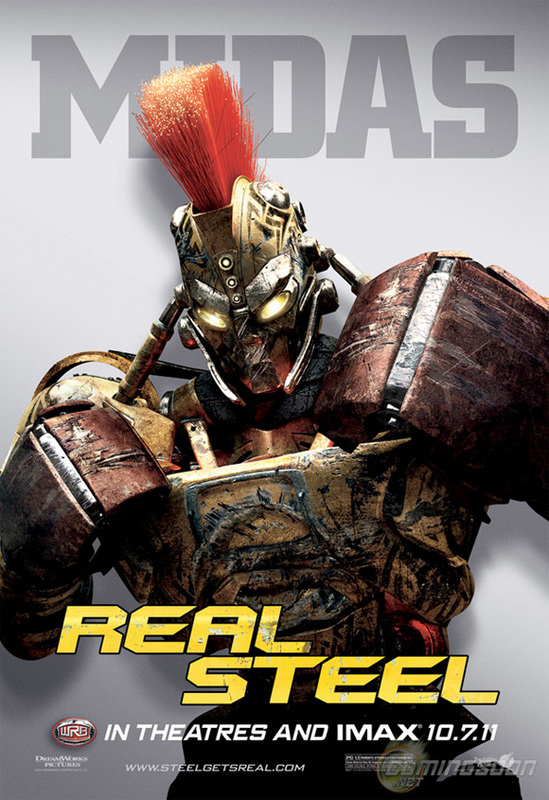 Now a new batch of posters have surfaced highlighting the metal-smashing fighters of the film including the beefy bot Ambush, the Roman-warrior looking Midas, the Shogun-helmeted Noisy Boy and our hero bot Atom controlled by Hugh Jackman and his son in the film. Check out the robot posters below! 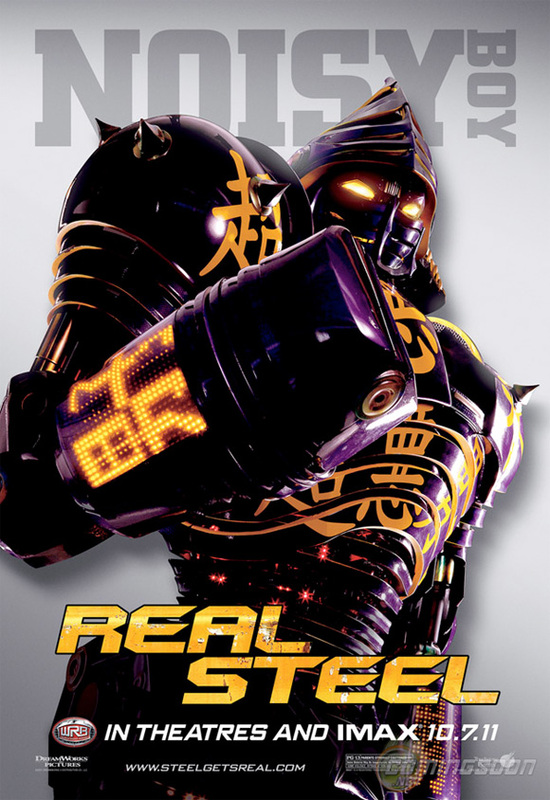 A boxing drama set in the future where 2000 lbs robots controlled by humans do battle. 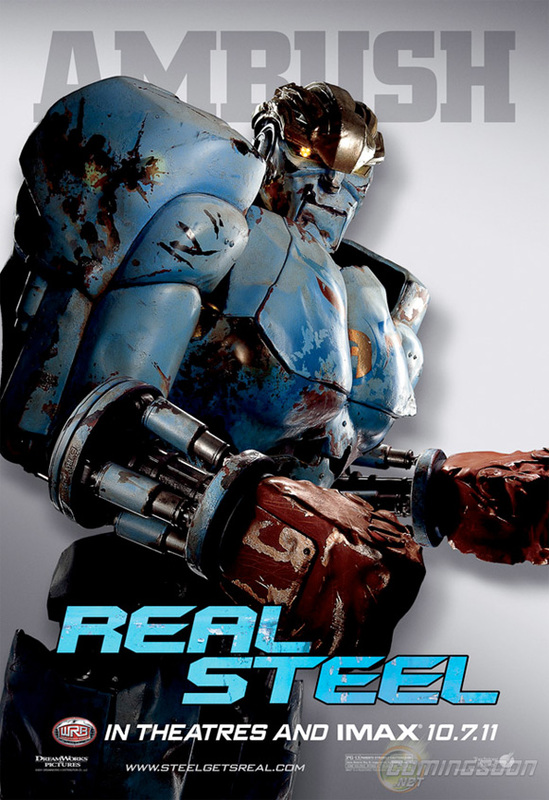 Hugh Jackman stars as Charlie Kenton, a washed-up fighter who makes a comeback with a scrapmetal bot named Atom. These posters are pretty cool! What did you expect? Posters of Hugh Jackman in various poses? Shut it. Noisy boy is Awesome!!! They look like a collectible series from the back of a cereal box. So... you look like the front of a couch!